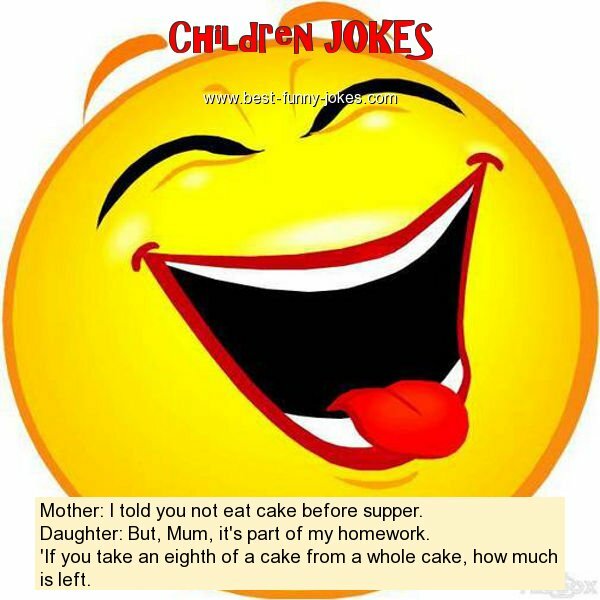 Mother: I told you not eat cake before supper. Daughter: But, Mum, it's part of my homework. 'If you take an eighth of a cake from a whole cake, how much is left.